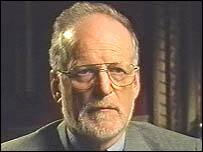 The investigation into the death of Dr David Kelly would be re-opened under a Tory government, according to a senior Conservative. Shadow Justice Secretary Dominic Grieve said the public has 'not been reassured' that the Whitehall scientist took his own life. And he praised a group of doctors campaigning for an inquest into Dr Kelly's death. 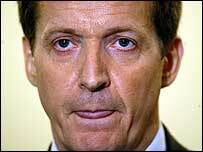 Mr Grieve said that, if the Tories take power, he would 'review' the evidence that Dr Kelly killed himself - a conclusion which has been repeatedly challenged by experts. An inquiry led by Lord Hutton concluded that the scientist committed suicide in July 2003 by severing an artery in his left wrist after overdosing on painkillers. 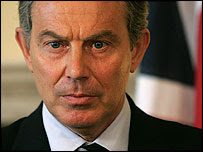 His body was found in woodland near his Oxfordshire home shortly after he was exposed as the source of a BBC news report questioning the existence of weapons of mass destruction in Iraq. The campaigning doctors say the artery Dr Kelly severed is too small and difficult to access and cutting it could not have caused death. The doctors spent more than a year compiling their own medical report and, in January, applied to the Ministry of Justice to see Dr Kelly's post-mortem report and all associated medical records. So far the ministry has not released them. Mr Grieve's letter, to Dr Michael Powers QC, an expert on coroners' law, follows revelations that Lord Hutton secretly ruled that evidence relating to the case, including Dr Kelly's post-mortem report, should not be released for 70 years. Lord Hutton later said he would be happy for the doctors to see the records, including photographs of Dr Kelly's body, but still the information is being withheld. When asked this weekend for his view on the Ministry of Justice's delay in releasing the documents, Lord Hutton refused to comment. The campaigners hope Mr Grieve's support could pave the way for a full inquest if the Tories win the election. Mr Baker questions the painkillers Dr Kelly is said to have taken, because the levels found in his stomach were incompatible with his supposed consumption. The scientist's family and friends also insist he had shown no sign of feeling suicidal. 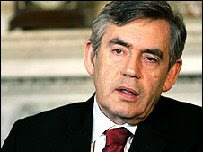 Emails from the time suggested he was behaving normally - and he was looking forward to his daughter's wedding. 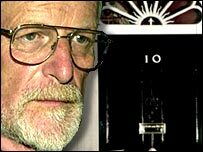 The Conservatives have demanded a review into the death of Dr David Kelly, amid continuing doubts over the official verdict of suicide delivered by Lord Hutton's inquiry into the case. 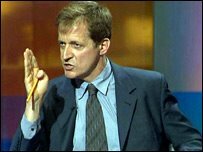 Dominic Grieve, the shadow justice secretary, said he would consider ordering a new inquest into the death of the UN weapons inspector should the Tories win power, claiming that too many questions remain unanswered. He has also called for a review of the Government's decision not to release medical records and post-mortem documents relating to Dr Kelly's death. 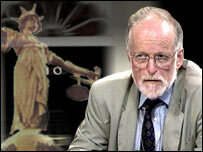 Dr Kelly's body was found in woods near his Oxfordshire home on July 18, 2003, after he was exposed as the source of a controversial BBC report questioning the grounds for invading Iraq. 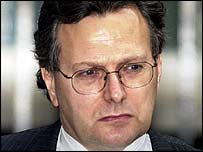 An initial inquest into his death was never resumed because the Oxfordshire coroner, Nicholas Gardiner, deemed that the findings of the Hutton inquiry were sufficient. But Mr Grieve said: "Should the Conservative Party form a government at the next election I will look into the matter of Dr Kelly's death to establish whether more information should in fact be released to the public. "I will also give consideration to whether an inquest into his death should be reopened." 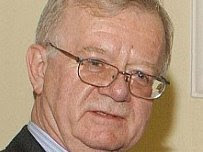 Lord Hutton's inquiry in 2004 ruled that Dr Kelly had taken his own life by cutting an artery in his wrist and that his death had probably been hastened by an overdose of the painkiller co-proxamol. 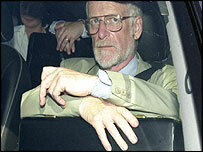 The judge ordered that medical records and photographs relating to his death should be kept classified for 70 years. However doubts over the manner of Dr Kelly's death have mounted. A group of doctors, including a trauma surgeon, a specialist in internal general medicine and an epidemiologist, have campaigned for the inquest to be resumed, claiming that the available evidence does not point to suicide. They argue that the autopsy findings of a transected ulnar artery could not have caused enough blood loss to kill someone, particularly when outside in the cold. Furthermore Dave Bartlett and Vanessa Hunt, the two paramedics who were called to the scene of Kelly's death, claim there was not enough blood at the location to justify the belief that Dr Kelly, 59, died from blood loss. Dr Andrew Rouse, an epidemiologist, said in a letter to the British Medical Journal that commiting suicide by severing wrist arteries would be an extremely rare occurrence in a 59-year-old man with no previous psychiatric history. 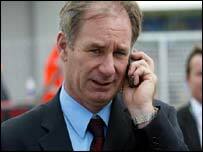 If any new inquest returned an open verdict it could trigger a fresh police investigation into Dr Kelly's death. The group of doctors recently wrote to Mr Grieve asking him for his support in pressing for a new inquest and seeking the release of Dr Kelly's medical records. In his reply to Dr Michael Powers QC, a former assistant coroner and one of the campaigners, Mr Grieve stated: "I'm aware of the work of the doctors' group in challenging Hutton. It seems to me they have been able to make an impressive and cogent case. "In the absence of being in government it's impossible to make judgement on the reasons for withholding medical and scientific evidence. "However this is something I would review if in government as I am conscious this is a matter where the public have not been reassured that the Hutton Inquiry satisfactorily resolved the matter." 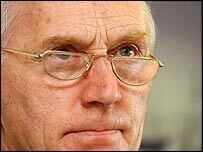 Mr Grieve told this newspaper: "The public continues to be puzzled by the causes of his death and anxious about the findings of the Hutton inquiry. "We need to find out why this material is being kept secret. There may well be good reasons for keeping this material secret that we will not discover until we get into office, but that is why I believe there should be a review of the situation." 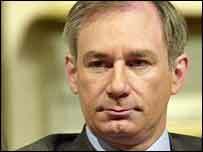 Dr Kelly, who was employed by the Ministry of Defence and had been a UN weapons inspector in Iraq, cast doubt on claims, made in a Government dossier on Saddam Hussain's weapons of mass destruction, that Iraq was capable of firing biological and chemical weapons within 45 minutes. 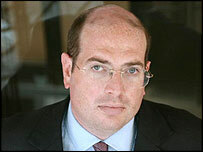 Dr Kelly had been one of the few to examine the dossier prior to its publication. 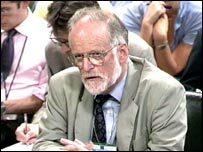 In July 2003, after being named by the MoD as the source for reports casting doubts on the accuracy of what became known as the 'dodgy dossier', Dr Kelly appeared before the Foreign Affairs Select Committee, where he was questioned over his role. He appeared under extreme stress. Two days later, in an email to a US journalist, he wrote of "many dark actors playing games". A few hours after writing this he told his wife he was going out for his daily walk. She later reported him missing and his body was found early the next morning. Dr Powers said: "The present Government has failed to appreciate the real public concern about the circumstances of Dr Kelly's death. "Lord Hutton's inquiry was not focused upon that and the evidence he chose to call in relation to the death was taken very briefly. There was a presumption that Dr Kelly had committed suicide. 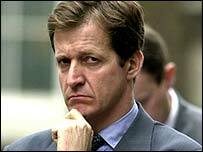 "There was no challenge to this presumption, neither was there any searching investigation of the evidence. 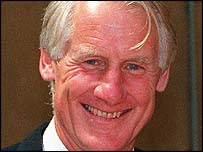 Lord Hutton did not have the skills of a coroner in respect of the cause of death." He added: "We have requested copies of all the medical and scientific reports and investigations into Dr Kelly's death as there is no basis in law upon which such an embargo can be made in respect of the papers of a non-statutory inquiry. 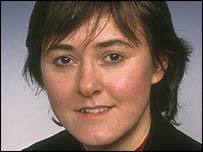 "The Ministry of Justice say they are still considering the position. This is unacceptable." Norman Baker, the Liberal Democrat MP, who has cast doubt over the suicide verdict and campaigned for a new inquest, said: "This is a very welcome statement from the Conservatives. "The medical evidence does not support the thesis of suicide and we need an inquest to establish what really happened to Dr Kelly." Government sources dismiss suggestions that Dr Kelly was murdered and are convinced the Hutton inquiry's verdict remains safe. His family has also supported the findings of the inquiry and does not believe that a new inquest is necessary. 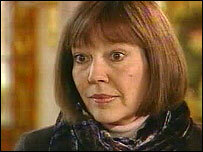 A Ministry of Justice spokesperson said: "We are considering the doctors' request and will respond in due course."